Nokia 8 is the first high-end smartphone from HMD Global Companycoming with Android Nougat right from the box. Since it runs on the Android OS, it comes with a built-in recovery mode. The recovery mode cannot be accessed by using built-in settings, through a dedicated reboot sequence. The recovery mode is to some extent a maintenance utility, offering limited support as everything is protected by the default and factory restrictions. You can accomplish many actions in the stock recovery mode such as clearing app data cache, making a hard reset, applying updates by manually flashing a new OTA or performing a restoration process. If you install a custom recoverysuch as CWM or TWRP you can do more than just factory resetting the device or clearing app data cache. Through a custom recovery, you can root the deviceso you will have to learn how to enter Recovery Mode on your Nokia 8. Entering recovery mode process can be applied to both stock and custom recovery; you can use the tutorial from this post regardless of what recovery image is running on your Nokia 8. Entering your device into recovery mode is an official operation supported by Nokia so the smartphone’s warranty will not be lost while performing the steps given below. In case you plan to use the recovery mode menu for tweaking the Nokia 8, a backup needto be made to save all your important data. Power off the Nokia 8 device by pressing and holding the Power button. Once the shutdown process is completed, press and hold the Volume Down and Power buttonssimultaneously. When you see the Android Logo displayed on your device release the Power button but keep pressing the Volume Down key. The Boot Mode Menu will appear on the screen. From Boot Mode Menu highlight Recovery using Volume rocker buttons and confirm by pressing the Power button. When the Android image shows up press and hold the Volume Up button and at the same time press and release Power key. The recovery mode menu willbe displayed on your Nokia 8. In recovery mode, you can use Volume Up and Down buttons to scroll up or down and Power button to select. You can go back to Android mode by selecting “reboot system now” from the main menu of recovery. 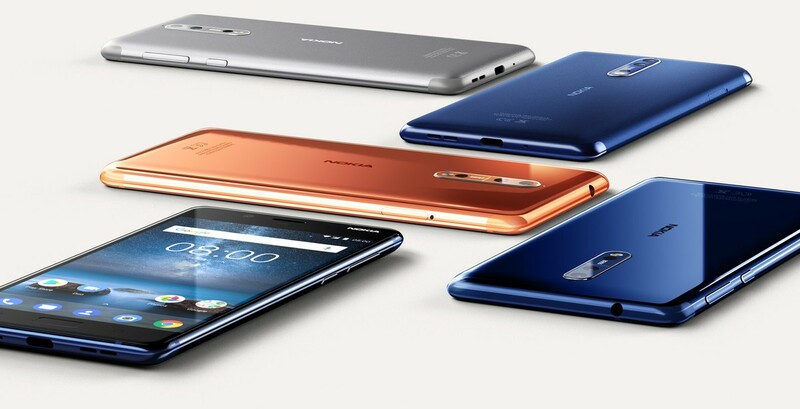 To execute this process, you need to use a computer where Android SDK and the Nokia 8 drivers must be installed. On your smartphone, you have to unhide the Developer options menu and to check the USB Debugging Options. For that, go to About Phone and tap repeatedly on Built Number until you see the “you are a developer” message displayed. Then, check the USB Debugging option from settings – > Developer Options. Power on your Nokia 8 smartphone and connect it to your computer by using the USB cable. On your computer go to the Android SDK folder and open a command prompt window (press and hold the Shift keyboard key while right clicking on any blank space, then select “open command prompt window here” option). In the command window type “adb reboot recovery” and then press Enter. The recovery mode menu will be displayed on your Nokia 8 device.